Three women - three secrets - one heart-stopping story. Katie, seventeen, in love with someone whose identity she can't reveal.Her mother Caroline, uptight, worn out and about to find the past catching up with her. Katie's grandmother, Mary, back with the family after years of mysterious absence and 'capable of anything', despite suffering from Alzheimers. As Katie cares for an elderly woman who brings daily chaos to her life, she finds herself drawn to her. Rules get broken as allegiances shift. Is Mary contagious? Is 'badness' genetic? In confronting the past, Katie is forced to seize the present. 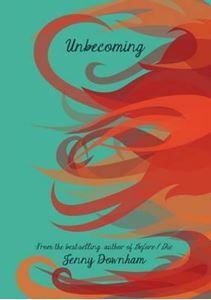 As Mary slowly unravels and family secrets are revealed, Katie learns to live and finally dares to love.Funny, sad, honest and wise, Unbecoming is a celebration of life, and learning to honour your own stories.